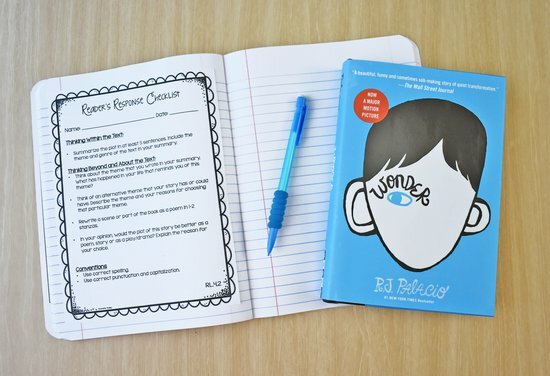 Having students write about what they are reading is a great way to help students dive into analyzing a story, help make comprehension visible to the teacher, allow students to share their reading easily, and hold students accountable for reading. Whew, there is a lot of benefits for sure! 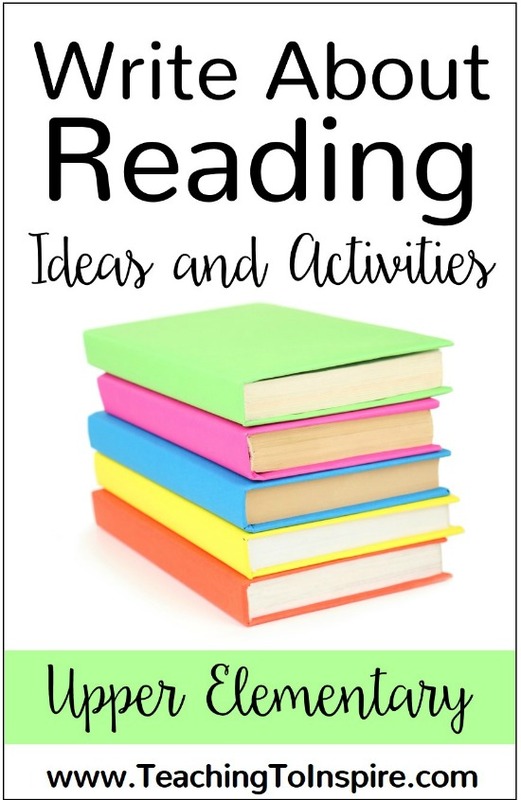 However, sometimes as a teacher I found that I needed fresh ideas to keep my students engaged while they were participating in a write about reading activity. 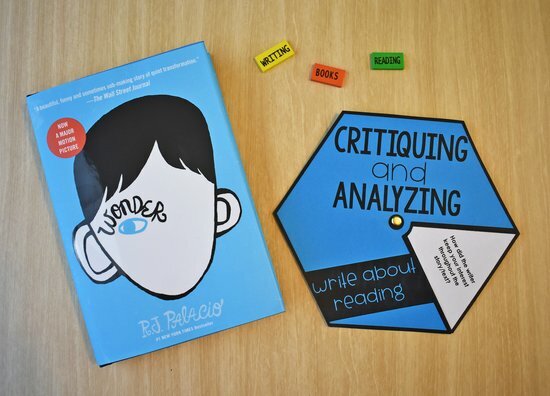 On this post, I will share several ideas (and hopefully several new ones to you) to engage your students as they write about what they are reading. One of my favorite write about reading activities is having the students write letters to me. I love opening that dialogue and truly having a conversation about the books the students are reading. There are tons of different ways to do this. You can use a running list of suggested prompts, choice boards or menus, or even task card prompts. I have found that by 5th grade I really need to up the rigor and expectations in my students’ letters. I also really want their weekly or bi-weekly letters to tie into the curriculum. To do this, I use standards-based checklists. Each checklist has a specific standard focus and really requires the students to dig into that standard while responding to the text. 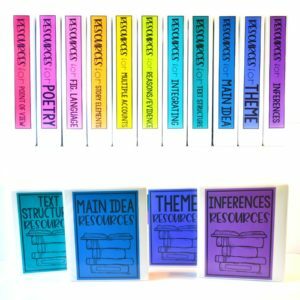 I have one per standard (common core standards) so I can tie all of my standards into my write about reading time throughout the year. You can read a more detailed post about these by clicking here. A spin on the response letters idea shared above is to have the students write letters to partners. I save this for weeks where I really need to engage the students and keep them working. Weeks before a Spring Break or Winter Break, short weeks, or even weeks where we have had snow days or exciting field trips. This is a super simple idea that my students do regularly. When my students finish a book, they record the title of the book and the author on an index card. 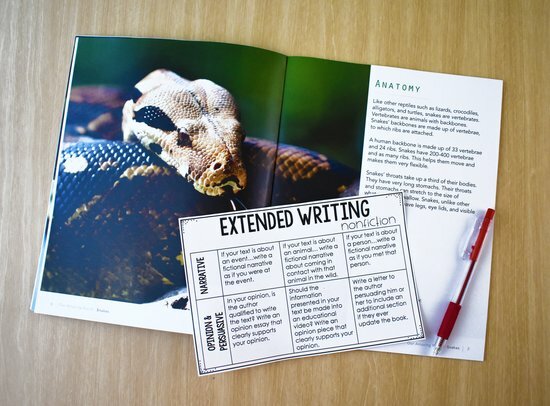 You can also have them write a brief summary of the book on the index card to help prepare them to talk about it. Once a week, students share about their books and we tape up the index cards to serve as book recommendations. Click here to read more about book commercials. 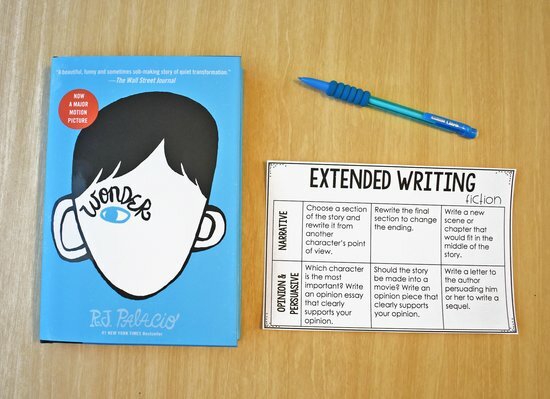 This idea is not something I do regularly, but it is a great way to authentically prepare students for our extended writing essays and to integrate writing and reading. I have two choice boards specifically for extended writing: one for fiction and one for nonfiction. The prompts require the students to use details from their stories to write either a narrative or a persuasive essay. I typically let the students choose which prompts they want to write about. I also wait until my students have mastered narrative and persuasive writing before having these as a write about reading option. 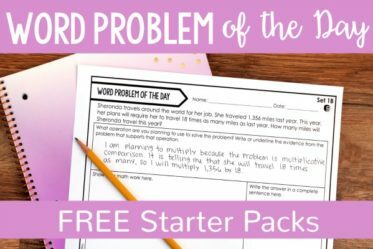 Click here to grab the free Extended Writing Choice Boards. One area that my students always need more practice in is critiquing and analyzing the texts they are reading. And I love challenging my students to think deeper about a story or text they have read. To keep it “fun”, we use a Critique and Analyze Spinner. The students spin the spinner and respond to the question or prompt shown. Click here to grab the Critique and Analyze Spinner. Choice boards are always a hit with my student. It’s amazing how just offering choice can increase motivation and the quality of work. 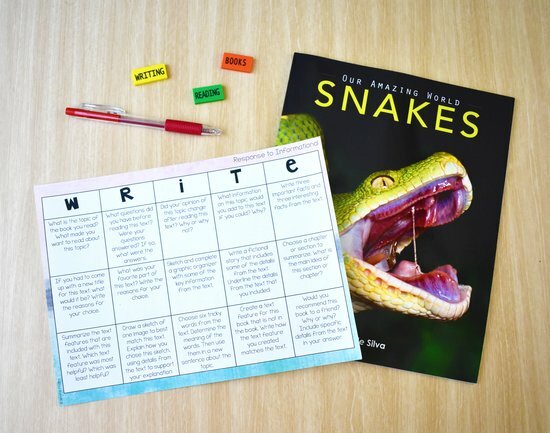 My writing choice boards include two boards specifically for reader’s response: one board for literature and one for nonfiction. 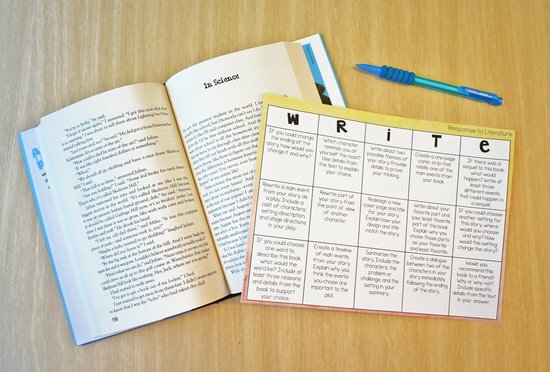 The student can work on one board for an entire month, choose 1-2 tasks to complete a week depending on how long you have them work on write about reading tasks. 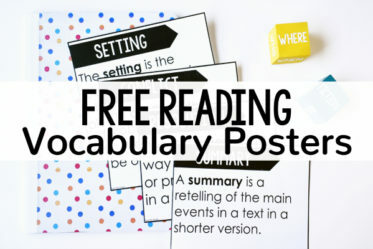 Click here to purchase these choice boards and several other writing choice boards. 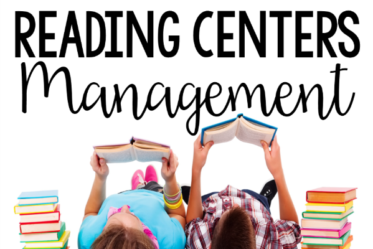 A pretty simple way to have student respond to their reading is to have students complete graphic organizers while they read. I prefer to use the same graphic organizers that I teach my reading skills with. The graphic organizers I use are included in my reading supplemental resources which you can see by clicking here. Partner activities are my some of my students favorite ways to work. 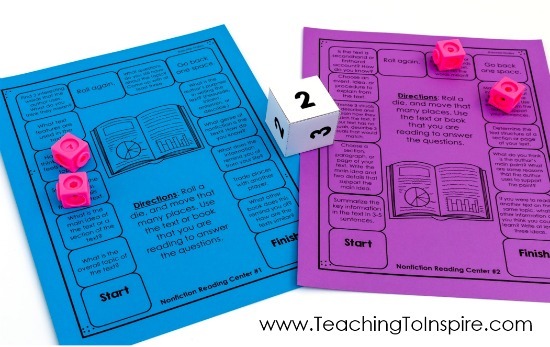 My FREE Partner Roll and Respond is super simple to implement but the students love it. 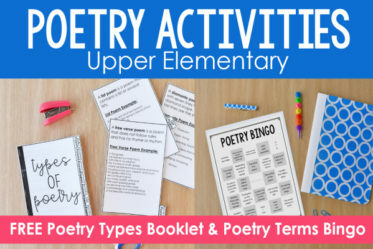 The free download includes a game for informational, fiction, and paired texts. Click here to download the partner roll and respond games for FREE! Anytime you can gamify an assignment in any way is a definite win-win. 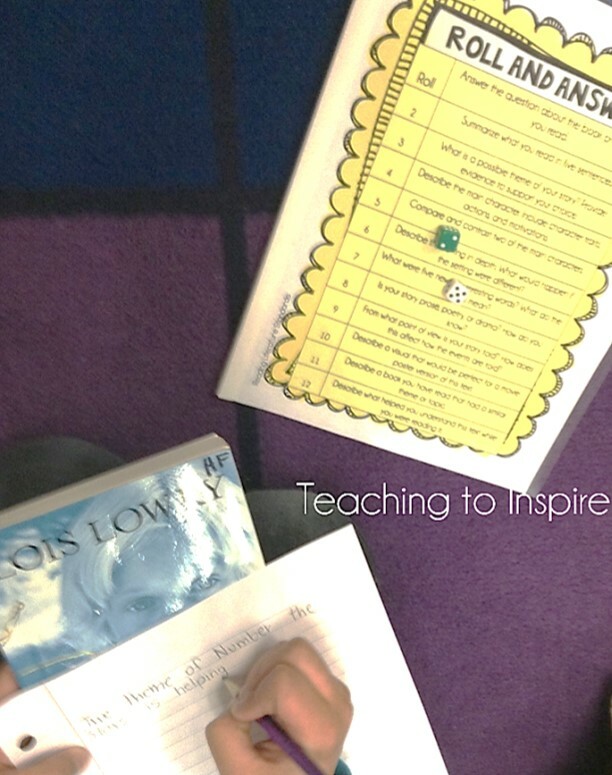 One simple way I do this is by using game boards with reader’s response questions or prompts on them. The students use a cube numbered 1-3 to move across the board, responding to the prompt or question as they go. 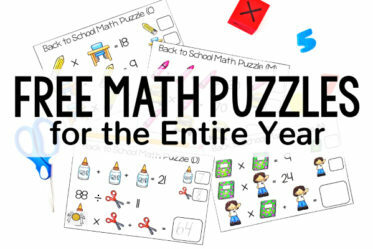 Click here to read more about these gameboards and get them for free. Create a 10 question quiz for your book. It can be multiple choice, short answer, or a mix of both. Include an answer key. Create a game for your book. 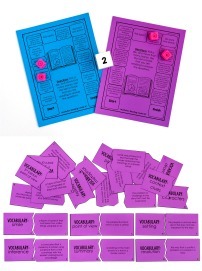 You will need a set of 16 questions on cards or pieces of paper, an answer key, and a game board for your book. 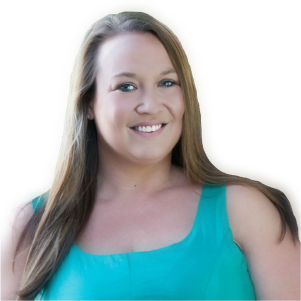 Make a list of all of the characters in your book. Assign Character Awards to each character. Explain why you chose each award. Create a Top Ten List to go with your book. It can be the top ten events, top ten facts, top ten characters, top ten details, etc. Create a timeline with the most important events from the story or text. Make sure you describe each event in detail. Fiction Stories: Rewrite the story or part of the story as a play. Make sure you include a cast of characters, setting, stage directions, and dialogue. Fiction Stories: Make a list of interview questions that you could ask the main character. Then answer the questions as if you were the main character. 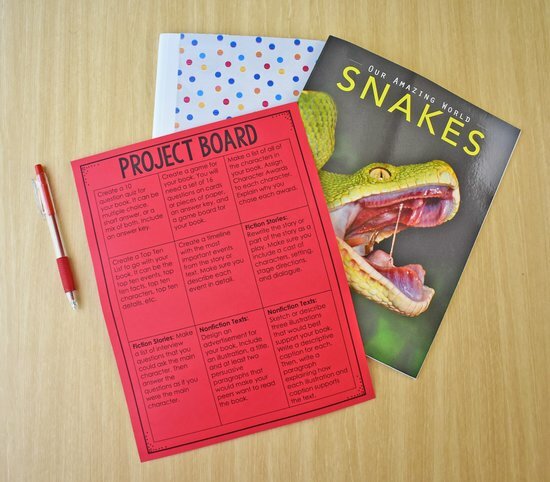 Nonfiction Texts: Design an advertisement for your book. Include an illustration, a title, and at least two persuasive paragraphs that would make your peers want to read the book. Nonfiction Texts: Sketch or describe three illustrations that would best support your book. Write a descriptive caption for each. Then, write a paragraph explaining how each illustration and caption supports the text. 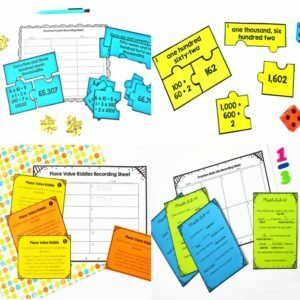 Click here to grab the project choice board for FREE. Choose one write about reading activity to be the main activity or must-do for the quarter (or time period you decide on). Choose another activity (or two) to be an early finisher activity or may-do. When you move to another quarter, the activity from the quarter before can become an early finisher activity or may-do. 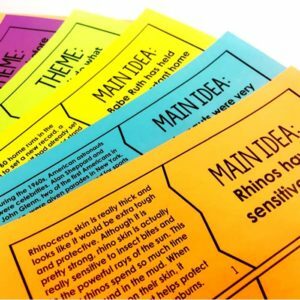 Save the really engaging write about reading activities for those months when you really need them. For example, I save the project choice board for near the end of the year because the students love it. Do you do any of these write about reading ideas or any other ideas? What are your favorite write about reading activities? Let me know in the comments. 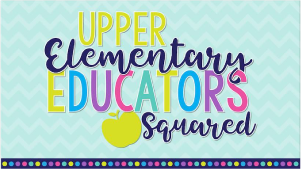 Some great ideas, thank you for sharing!